Hello Friends! I've finally had an opportunity to sit down and play with the September Simon Says Stamp kit. It's all about books and I just love it! I decided to make a couple of bookmarks to give to my daughters. I used a die to cut the bookmark shapes and reinforcement. 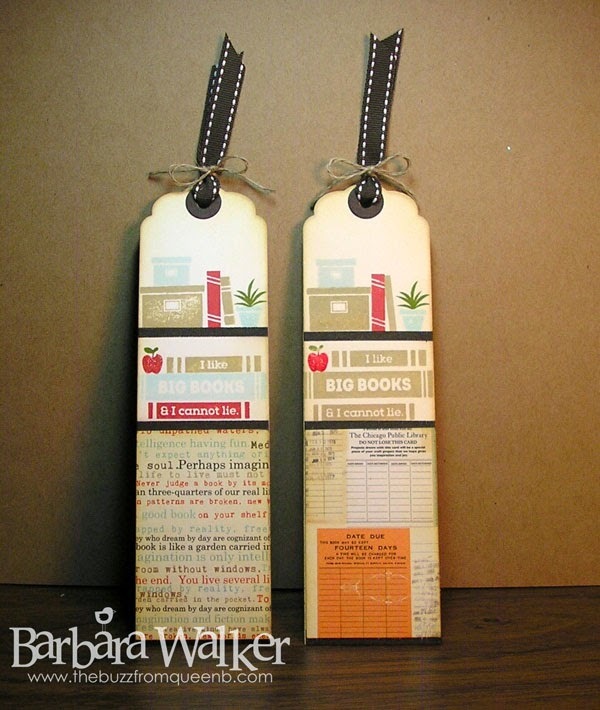 I stamped the various images onto the bookmark, adhered a piece of patterned paper and then inked the edges. To finish them off, I tied on a bit of ribbon and thread and added clear WOS to the apples and flower pot. This is such a cute kit! The stamp set is just darling. I like that all of the elements are individual stamps, makes it so much easier to stamp them in different colors. SSS gives us such fun stuff to work with...look at those wood dots and washi tape! That's it for me for today. Thank you so much for stopping by. I appreciate it. card stock, patterned papers and stamp set are from the SSS September kit. 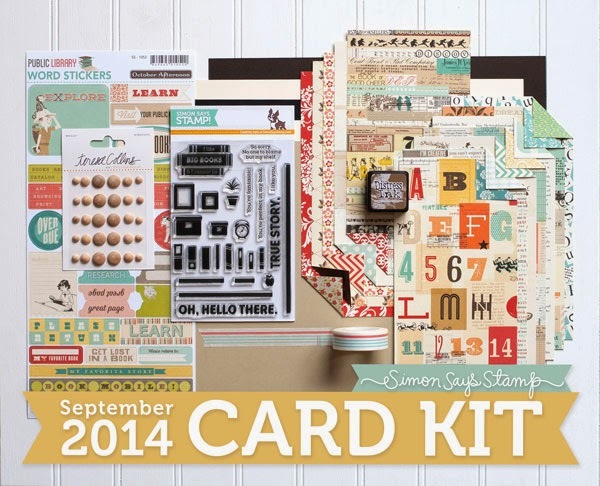 All items from the kit can probably be purchased separately, just visit Simon Says Stamp.